Tor Books has just announced the title and release date for the second novel in the Karen Traviss’s “Kilo-Five Trilogy” of Halo books, the follow-up to last October’s Halo: Glasslands. 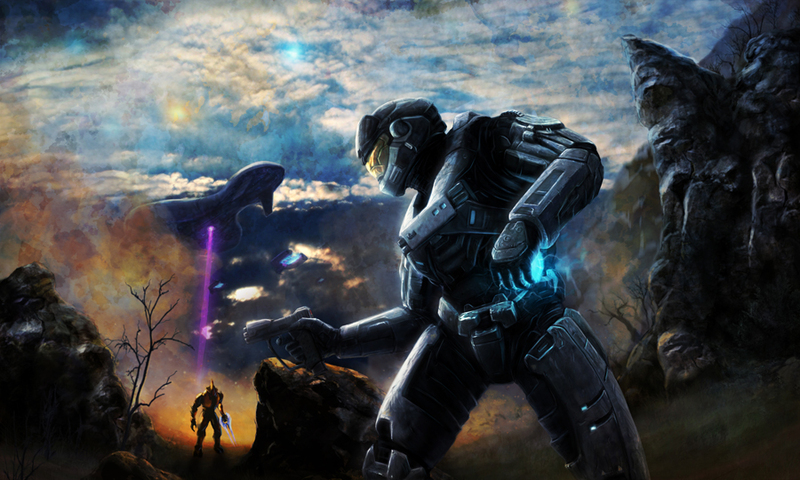 Halo: The Thursday War will release on October 2, 2012. Halo: The Thursday War picks up immediately where Halo: Glasslands left off, with forces on Earth and among the Covenant threatening a peace that is precarious at best. With a splinter group among the Sangheili pushing for war, some human colonies rebel against earth authority; and as ONI policy continues to shift with the volatile situation in space, the discovery of a trove of Forerunner technology on Onyx provokes leaders on Earth to seek uses for it in the conflict. For the fight is far from over….